BlackBerry has been coy about its mobile plans as of late, but there's little doubt the company is getting ready to give Android a shot with the Venice. This portrait slider has been leaking all over the place, and now we're getting our best look at the device yet with a 4-minute hands-on video courtesy of a Canadian phone retailer called Baka Mobile. The video claims this is an evaluation unit, so the software is probably not final. It looks like a mostly stock build of Android with the addition of tap-to-wake, BlackBerry Hub, and BlackBerry universal search. The screen slides up to reveal the keyboard, which is really what makes this device interesting. I can't recall the last time a notable Android phone was released with a keyboard. Interestingly, the keyboard keys are touch-sensitive, so you can swipe across the keyboard like a trackpad (a trick borrowed from the BlackBerry Passport). This saves you from reaching up to the screen so often. There are still no official details on this phone yet. 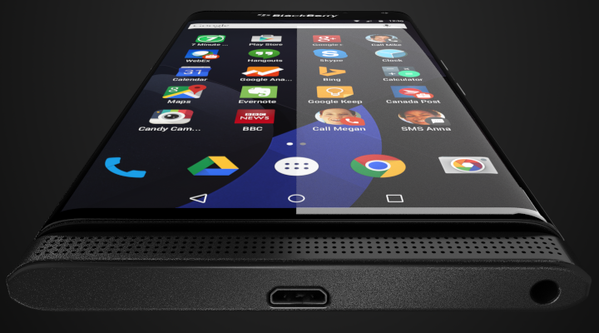 Judging by the number of leaks, BlackBerry should be getting close to an announcement.